Tired of looking at the mess of tangled cables laying on your desk? 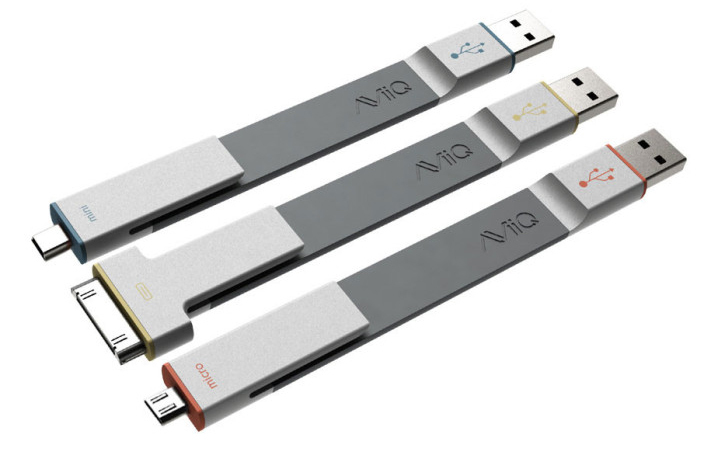 AViiQ has come out with an innovative idea that could get rid of all your cable problems. Designed to be the size of a pen, the Ready Clip is portable and easy to use. It will easily fit into your bag as well as your budget. At $29.99, they offer a variety of connection options, such as the Apple 30-pin connector, a mini USB connector, and a micro USB connector. This simple solution will get rid of all of your cable-managing woes!